Conflicts like the war in Syria or the Rohingya crisis are regularly in the news. However, the civil war in Yemen is almost never covered – some people don’t even know that there is a war there. This article is aimed at trying to understand this complex conflict. Located in the south west of the Arabian Peninsula, Yemen is the poorest country in the Middle East. It is bordered by Saudi Arabia and Oman,and isn’t far from Djibouti and Eritrea. Yemen, which is currently home to around 27 million people, is a relatively young country. In 1990, North and South Yemen merged to create the country that we know today. However, the central power has always struggled to impose its authority on the whole territory. There is a separatist movement in the south and a rebel Houthi movement in the north. The Houthi movement was created by Hussein al-Houthi to denounce their marginalization and demand more autonomy. Houthis belong to Zaidism, a minority branch of Shia Islam. The population of Yemen is mostly Muslim; around 35% being Shias. Yemen was further affected by the Arab Spring and in 2011, the Yemeni Revolution provoked the departure of the President Ali Abdallah Saleh who had ruled the country for 22 years. Who is fighting and why? After the revolution Saleh was forced to give up his power in favour of vice-President Abdrabbo Mansour Hadi with the aim of redacting a new constitution. Hadi was elected President in 2012 – as the only candidate for the position. The political transition to Hadi wasn’t a success with a country submerged by poverty and corruption. The war started with a plan to divide Yemen into six regions, but the Houthis disagreed. According to them, this plan divided Yemen into poor and wealthy regions, making for inequalities. Moreover, the Houthis’ region didn’t have the access to the Red Sea, which they had asked for. In 2014, Houthis took over Yemen’s capital Sanaa and then tried to take the entire country, with forces loyal to former President Saleh. This forced the UN-recognized government and Hadi to flee to Aden, a city in the South. In 2015, Houthis and Saleh forces took Aden and the west of the country and Hadi fled to Saudi Arabia. Saudi Arabia – a Sunni country – perceived the insurrection of the Houthis as a threat. Saudi leaders saw this rebellion as an opportunity for their main adversary – Iran, a Shia country – to gain power. Since the beginning of the conflict, Saudi Arabia has accused Iran of helping the Houthis by providing money and weapons. This accusation has always been refuted by Iran. Recently, however, a Panel of Experts on Yemen mandated by the UN Security Council found proof that Iran had supplied missiles. In March 2015, Saudi Arabia created a coalition with Egypt, Jordan, Sudan, Qatar, Bahrain, Kuwait, the United Arab Emirates and Morocco. 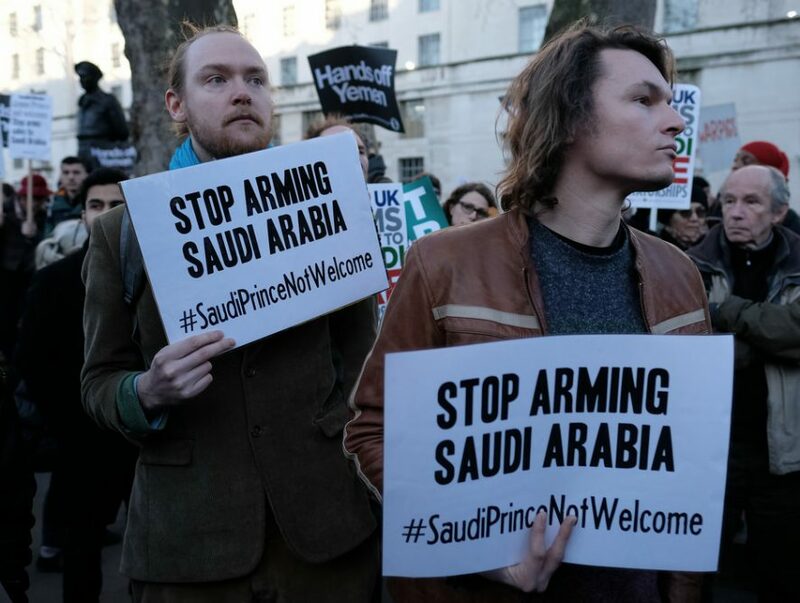 Backed by the US, the UK and France, this coalition began a military campaign with a lot of air strikes and installed an air, water and land blockade on Yemen. But the coalition still struggles to take back the north of the country and its capital city Sanaa. Al Qaeda in the Arabian Peninsula and ISIL took advantage of the chaos and seized part of the south. In early December 2017, Saleh broke his alliance with the Houthis. He declared on television that he was ready to open a dialogue with the Saudi coalition if they stopped the blockade on the country. Saleh was killed on the 4th of December by Houthi rebels. Meanwhile, Hadi’s forces won several cities back. The southern separatist movement represented by the Southern Transitional Council was allied with Hadi. But tensions erupted in January when the separatists accused the government of corruption and discrimination. The STC, supported by the United Arab Emirates, took over Aden through a coup. This civil war is considered by experts as a proxy-war between Saudi Arabia and Iran. Saudi Arabia is helped by its allies the US, France and the UK who provide weapons and money. The US have also conducted air strikes on Al Qaeda in the Arabian Peninsula and ISIL. It is important to know that these strikes killed civilians. Yemen is strategically located for maritime routes to export oil, being close to two straits: Ormuz in the east, controlled by Iran and Bab el Mandeb in the west. Saudi Arabia and Western countries fear that the Bab el Mandeb strait will be controlled by Iran if there is a Houthi government. Moreover, to avoid the strait of Ormuz, Saudi Arabia wants to build a pipeline that would cross Yemen, which Saleh has always opposed. As with most conflicts, it is the civilians that pay the price for the war. According to the United Nation Human Rights, 5,144 civilians have been killed and 8,749 have been injured between March 2015 and August 2017. Moreover, three million people have been forced to flee from their homes. The situation in Yemen is a human made catastrophe. Because of the war and the blockade on the country 18 million people are in need of humanitarian assistance and seven million are on the brink of famine. The country is also subject to a serious epidemic of cholera – 500,000 cases – that has already killed almost 2000 people. The UN has called the situation in Yemen the world’s largest humanitarian crisis. As with most conflicts, it is the civilians that pay the price for the war. Amnesty International accuses both the Houthis and the Saudi coalition of war crimes. 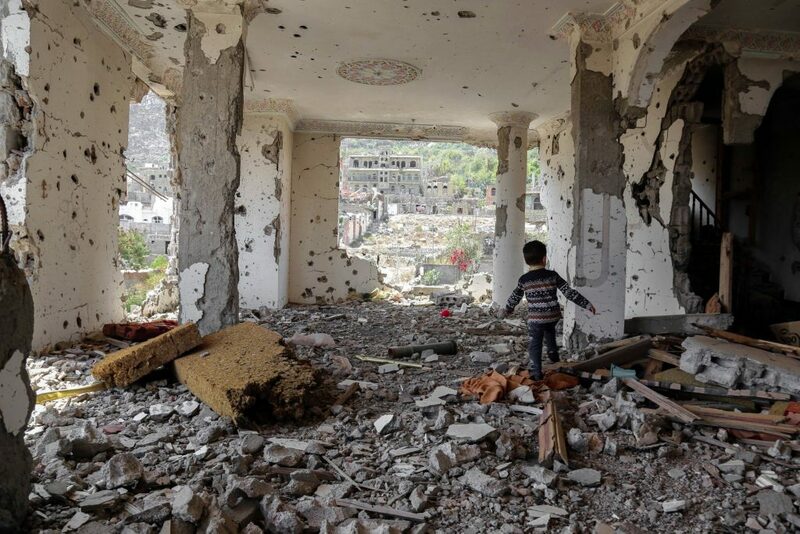 According to the organization, air strikes by the Saudi-led coalition appear to have deliberately targeted civilians and civilian objects such as hospitals, schools, markets and mosques. U Nations has sent experts on war crime to investigate alleged violations committed by all sides. United Nations has also committed to an arms embargo in Yemen – particularly on Houthis – from 2015 to 2019. Why don’t we talk about the war? There are several reasons that explain why the war in Yemen is seldom covered in the news. One of them is that it is extremely difficult for journalists to access the country due to the blockade, and it is very hard to get a visa. As a war zone it is also very unsafe for journalists. Moreover, Yemen has poor electricity and internet infrastructures. Only around 25% of Yemenis had access to internet in 2016. Additionally, neither the Saudi-led coalition nor the Houthis are interested in having journalists reporting on current events. Another reason is that the war in Yemen isn’t comfortable news for the West. The fact that the US, the UK and France are helping a coalition that has killed more civilians than military isn’t something that the West wants to hear or speak up about. While all sides have been accused of war crimes, according to the United Nations high commission for human rights, the Saudi forces are responsible for many of the attacks on civilians. Without the refugee issue the conflict appears to be less newsworthy – it isn’t perceived to be affecting the Western population very much. Finally, contrary to Syria, there has not been a wave of refugees flowing from Yemen to the Western world because of the sheer geographic distance. Rather, refugees go to neighboring countries or remain in Yemen. Without the refugee issue the conflict appears to be less newsworthy – it isn’t perceived to be affecting the Western population very much. Yemen seems to be forgotten by the rest of the world, but it is clear that the population is in urgent need for help. While the conflict is complex, with many countries involved, there is no justified reason to ignore it.